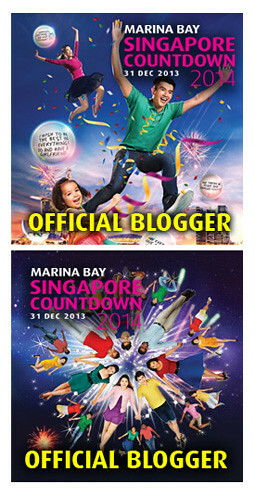 The super fragrant floral beauty brand - Mamonde is now available to those living in the East of Singapore! 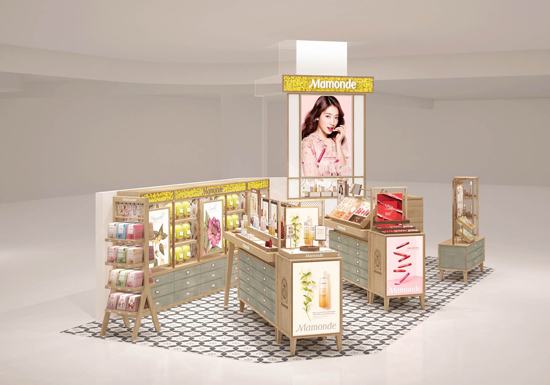 Opening its doors on 3rd October 2017, Mamonde will now be available in the newly renovated beauty hall within Isetan, Tampines Mall, situated just a stone’s throw away from Tampines MRT station. 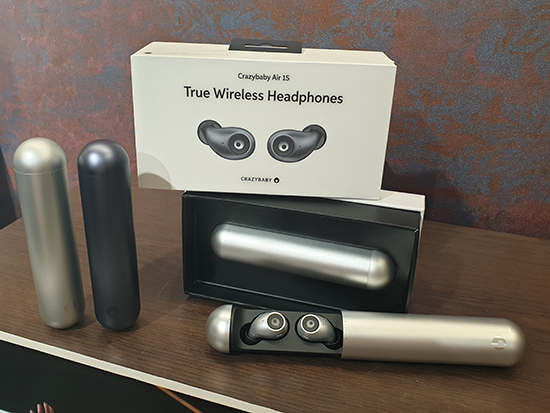 This marks the skincare and cosmetic brand’s third physical retail presence in Singapore, after TANGS VivoCity and selected Sephora branches. 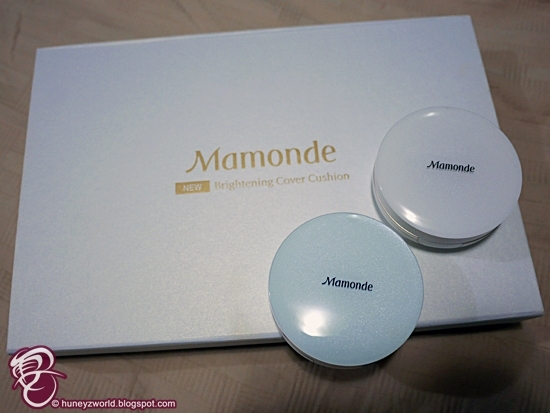 And in celebration, Mamonde has launched two new cushion foundation compacts to brighten skin in an instant. Inspired by the peach flower and narcissus, the all new Brightening Cover Powder Cushion and Brightening Cover Watery Cushion are specifically designed for the two most common skin problems that women encounter - oiliness and dryness. 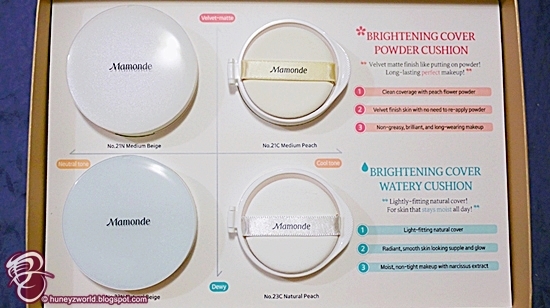 With its unique Brightening Cover™ Complex, the Mamonde Brightening Cover Cushion series features dense, high coverage with enhanced suppleness, adherence and brightness for an effortless “no-makeup makeup look” to enliven dull skin. 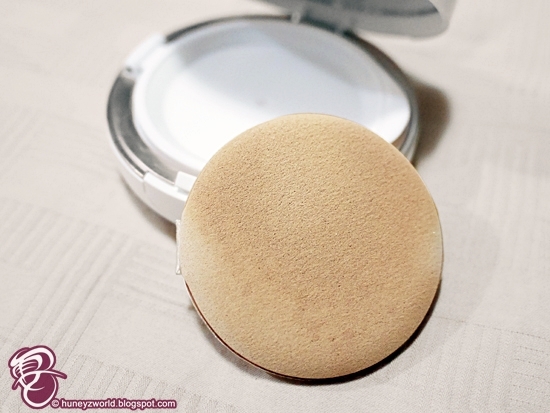 As tested, the Brightening Cover Powder Cushion has a velvet matte finish, with mattifying and sebum-controlling properties to ensure longevity of coverage for those with oily skin. 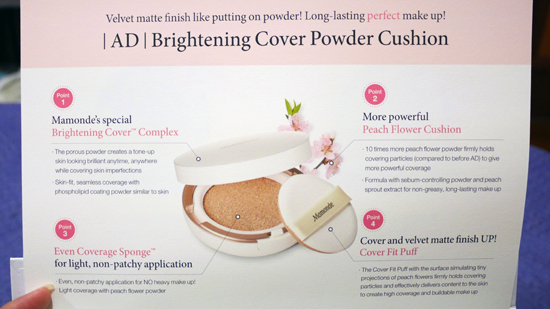 It also contains ten times more peach flower powder, ensuring complete coverage of imperfections while blending with fine particles to leave a non-cakey and shine-free finish. Meanwhile, the Brightening Cover Watery Cushion contains narcissus bulb extract to counter dryness, leaving you with natural coverage and skin looking all dewy and radiant. Its light yet moisture-rich texture enables an immediate cooling touch and adheres to skin easily, leaving a dewy finish for a subtle glow lasting all day. The built-in Water-fit Puff blends product seamlessly into skin for natural coverage – all you’ll ever need for an effortless daily makeup look. Something that I forgot to mention in the video, is the special Cover Fit Puff that comes with the cushions. It is super soft to the touch and if you look really closely, macro in fact, you can find that it resembles the micro-bumps of peach petals, offering a brush-like application with greater particle affinity to allow greater coverage in a single application. Letting you go through the day without the need for powder touch-ups! 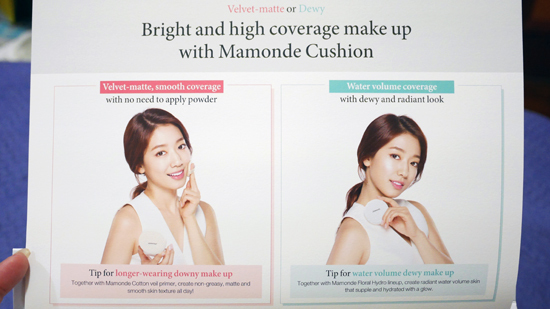 You can choose from five shades with pink (17, 21C and 23C) or yellow (21N and 23N) undertones, depending on your skin’s natural radiance, and pat on to achieve skin as flawless as actress and brand ambassador Park Shin Hye! 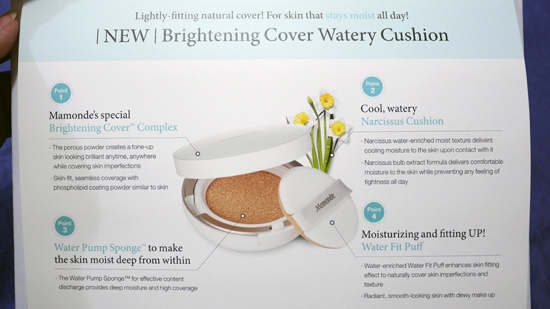 The Mamonde Brightening Cover Cushions will be retailing at $32, and will be available at Mamonde TANGS VivoCity and the new Mamonde Isetan Tampines from October 2017 onwards. Do go ahead and give them a try! 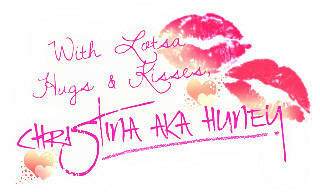 I bet you will fall in love with them, like I do.